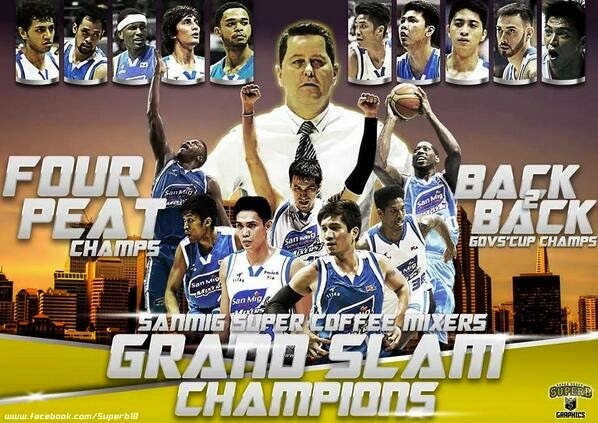 Manila, Philippines - The San Mig Super Coffee (SMC) Mixers finally clinched the 'very rare' grand slam feat after the victory against Rain or Shine Elasto Painters, 92-89, in the do-or-die Game 5 of the PBA Governors Cup Finals on Wednesday, July 9, 2014 at the Smart Araneta Coliseum. The conclusion of the best-of-five series brings the Mixers to higher level with other Grand Slams in the PBA: Crispa, San Miguel Beer and Alaska. The historic win also made Tim Cone the only coach to win Grand Slams with two different teams, as he led Alaska's run in 1996. According to Cone, playing in the last scheduled game is only fitting. “I guess it’s only appropriate that this whole season comes down to one game for us. ", Cone said. Mark Barroca missed both free throws as Arizona Reid gets the ball with 4.4 seconds left at the last quarter. Big Game James Yap also missed free throws as Belga gets the ball and calls timeout with 23.6 secs left in the game. Yap earned cheers from the jam-packed Big Dome after he hit a triple at the opening of fourth quarter. It was a tough battle at the third quarter as Mixers lead was down to 3, 73-70 from 16-point advantage from previous quarters. For second straight conference, Yap was named as The Finals MVP. Ranidel de Ocampo of Talk 'N Text was awarded the Best Player of the Conference while Arizona Reid of Rain or Shine grabbed the Best Import of the Conference award. 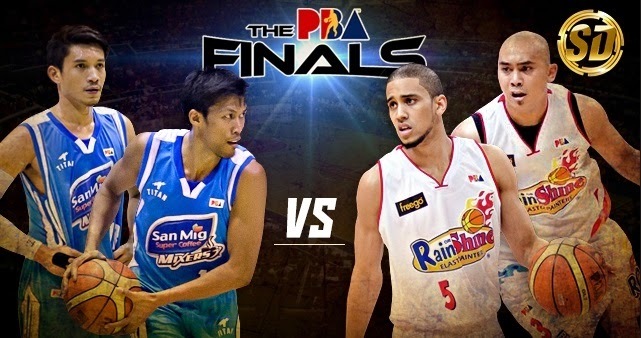 The do-or-die PBA Finals topped online conversations on Wednesday night as 'Slam the Grandslam', 'James Yap', 'Go San Mig' and 'Sayang Paul Lee' among the trending topics on microblogging site Twitter. A total of of 23, 234 PBA fans flocked to the Araneta Coliseum to witness history. SAN MIG SUPER COFFEE 92 - Yap 29, Blakely 20, Devance 11, Pingris 10, Simon 10, Barroca 6, Maliksi 4, Sangalang 2, Mallari 0, Reavis 0, Melton 0. RAIN OR SHINE 89 - Reid 23, Lee 21, Almazan 11, Norwood 11, Belga 7, Chan 6, Arana 4, Uyloan 2, Cruz 2, Tiu 2, Ibanes 0, Rodriguez 0.